Thank you for choosing Premix Marbletite. We hope you’re enjoying your new pool finish. Please make sure to fill out the warranty form below and carefully read our Warranty Terms & Conditions before submitting your registration. Registering your pool protects your investment. It’s quick and easy and will make any warranty claims much more efficient. Please select a series first. 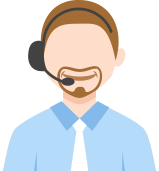 Your information will never be shared with anyone outside of Premix Marbletite or our Customer Support Team. Please provide either a phone number or email address so that we may contact you in the event of a warranty claim. * Commercial pools are defined as those not incorporated into single-family residences. Premix-Marbletite Manufacturing Co. (herinafter referred to as Premix), warrants its products – Marquis Series, Freestone Series, Crystal Series and Marquis Magic – solely against material failure from the date of installation for a period of 1 year by a professional licensed pool finish applicator. In the event of material failure, Premix sole liability shall be, upon verification, provide Marquis Series, Freestone Series, Crystal Series or Marquis Magic materials to repair the area of failure only. It is understood that some cosmetic variation may result in connection with installation of the material upon repair. Customer will acquire an extended 10-year pro-rated residential or 5 year pro-rated commercial warranty on the same terms as set out above by successfully completion and retention of this online warranty form. In the event of material failure, Premix’s sole liability shall be, upon Premix’s verification, to provide the materials necessary to repair the area of failure only, calculated as a pro-rated percentage of the warranty service life. NOTE: TO THE EXTENT PERMITTED BY LAW, THERE IS NO OTHER WARRANTY OR REPRESENTATION OF ANY KIND, EXPRESS OR IMPLIED, INCLUDING NO WARRANTY OF MERCHANTABILITY OR OF FITNESS FOR A PARTICULAR PURPOSE. THIS IS A LIMITED WARRANTY AS SET FORTH HEREIN. This Warranty excludes damage due to defects in workmanship or physical abuse of the pool. Some loss of aggregate is expected, especially in a new installation; this is not to be considered a failure. It is understood that stone itself and application techniques will result in variations in tone and appearance. This variation in pool shades is not to be considered a failure; the Marquis Series, Freestone Series, Crystal Series and Marquis Magic are not warranted with regard to color or stains, topical and or chemical induced. The contractor shall have the right to repair the area of failure only. The Marquis Series, Freestone Series, Crystal Series and Marquis Magic replacement is limited to this repair. It is understood that some cosmetic variation will result. Premix warrants the Marquis Series, Freestone Series, Crystal Series and Marquis Magic material only and is not responsible for labor to repair said material. Subsequent costs such as water replacement, chemicals, land and loss of use of the pool are not covered. This Warranty shall not include pools that have been abused physically damaged or faded, through lack of proper chemical balancing, chlorine applications or other chemical abuses. Damaged caused directly or indirectly by an act of God, including any natural disaster such as hurricane, earthquake, tornado, etc. Delamination, minor surfacing checking, cracks and minor cracks caused by structural defect or damage, or draining of the pool are not covered by this Warranty. Warranty is not valid unless the applicator has been paid in full. Pool must be checked monthly by a pool retail outlet having water testing capabilities. Computerized records must be present at time of inspection. This warranty is issued jointly to Pool Owner and Contractor. Contractor is the first point of contact regarding any warranty claim. Premix does not provide inspection services and may inspect a pool at a contractor requests and they must be present. Additionally Historical Pool Chemistry Records must be provided for verification. Warranty is valid only in the Continental United States and is non-transferable from the original pool owner listed above. Some loss of aggregate is to be expected, especially in a new installation, and is not a defect. Premix pool finishes are applied and finished completely by hand, resulting in variations in color, shade, tone, texture and overall appearance of the pool finish. These variations are a featured characteristic of the “natural look” of exposed aggregate finishes, and in no way constitute a defect. Pool color is influenced by many factors: size, shape, depth, lighting conditions, local surroundings, application technique, and small color differences between batches all affect color perception. Color may also be affected by failure to maintain proper pool chemistry. Therefore, colored plasters or pigmented finishes are not warrantied with regard to color. When resurfacing over existing finishes a Premix Bond Tite System must be applied. Premix does not warranty its products when applied of any other bonding material. Where the existing finish is first removed via sandblasting or chipping, Bond Tite may not be required. The Premix warranty is not valid unless this form is completed in full (batch number required) and submitted within thirty (30) days of installation of Marquis Series, Freestone Series, Crystal Series and Marquis Magic material. Pool fill water containing high levels of metals may need to be pre-treated and filtered before being added to your pool. DO NOT stop water while the pool is filling. If adding additional fill hoses, add to the deep end of the pool only. 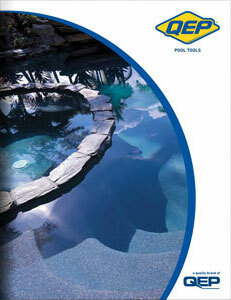 The initial process, including start up chemicals, should be done by a pool professional. This may take several days. Afterwards, balance the pool water to the above noted water parameters. Check the pH several times per week for the first few weeks and add pool acid pre-diluted to the deep end of the pool to lower the pH to 7.0-7.2 range or lower if needed. NEVER allow the pH to rise above 7.6 during the first 30 days. Brush the pool daily for the first 30 days, then as needed. To help prevent metal stains and scaling of the finish and to up-hold your product warranty, you must add the proper amount of the Sequa-Sol® or any leading brand of Sequestering Agent weekly as noted above. After the first 30 days, check the pool water routinely at least once a week or more often and keep the water balanced to the above noted water chemistry parameters. For salt water pools: do not add salt to the pool for the first 30 days. Be sure to add pool acid weekly and lower the pH to 7.2ppm. No pool cleaners without brushes or vacuums with wheels for the first 30 days. Do not add Calcium for the first 60 days; then only if it is below 200ppm. Any and all controversies, claims or disputes arising out of or relating to the terms and conditions of this warranty shall be settled by binding arbitration, conducted in Broward County, Florida under the rules of the American Arbitration Association. Valid only in the Continental United States. Warranty is Non-Transferable.